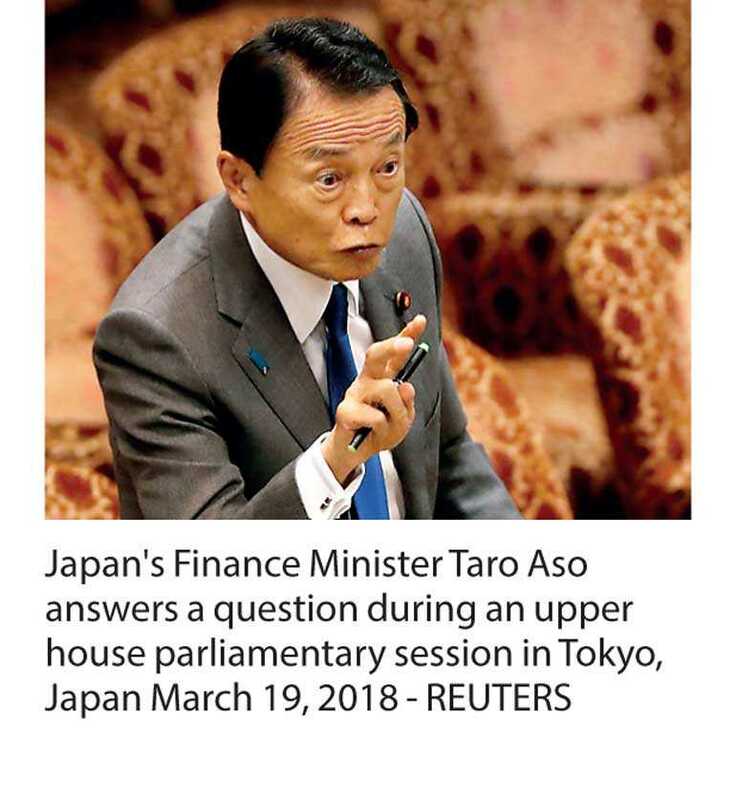 TOKYO (Reuters): Japanese Finance Minister Taro Aso said on Tuesday initial budget requests for fiscal 2019 would likely reach a record high around 102 trillion yen ($918 billion), given an aging population and defence challenges from China and North Korea. In comparison, the US debt burden is around 125% of gross domestic product, according to the Organisation for Economic Cooperation and Development. Japan’s aging society puts constant upward pressure on welfare and healthcare spending. The defence ministry has requested 5.3 trillion yen for next fiscal year, a 2.1% increase from the current fiscal year to help pay for major upgrades of defence systems designed to shoot down North Korean ballistic missiles. If approved, the budget will mark a seventh straight annual before-inflation increase as Prime Minister Shinzo Abe reinforces Japan’s military in response to China’s growing air and sea power and North Korea’s missile program. The government plans to raise the nationwide sales tax to 10% from 8% in October 2019.